Believe it or not, it’s only been 10 years since the Marvel Cinematic Universe kicked off with the first Iron Man. What seemed like a long shot in 2008 –starting a franchise with a (then-) second string character– has since gone on to gross US$ 13.5 billion across 17 films at the global box office. Today, even the company’s more obscure characters, such as the Guardians of the Galaxy, are household names alongside major heroes such as The Avengers. This year’s Valentine’s Day sees the release of Black Panther, the Wakandan prince-turned king first introduced in 1966’s Fantastic Four #52 by Stan Lee and Jack Kirby before making his movie debut in 2016’s Civil War. Now the hero of his own film, Black Panther is played once more by Chadwick Boseman (Draft Day), under the direction of Ryan Coogler, whose work on 2015’s Creed revitalized Sly Stallone’s beloved Rocky franchise. Now projected to score a US$170 million opening weekend based on ecstatic word-of-mouth, it’s time to see how Black Panther stacks up to the hype! Following a brief prologue, Black Panther opens in present-day Africa, where the titular superhero has been operating for some time. Behind his mask, he is T’Challa, is the leader of the Wakandan nation, a country made up of five tribes that has managed to leapfrog ahead of the world in science and technology thanks to a vast store of (fictional) vibranium metal beneath its soil. We are shown snippets of his ascension to the throne via flashbacks (including his father’s assassination in Civil War), as well our first glimpses of the Wakandan world. 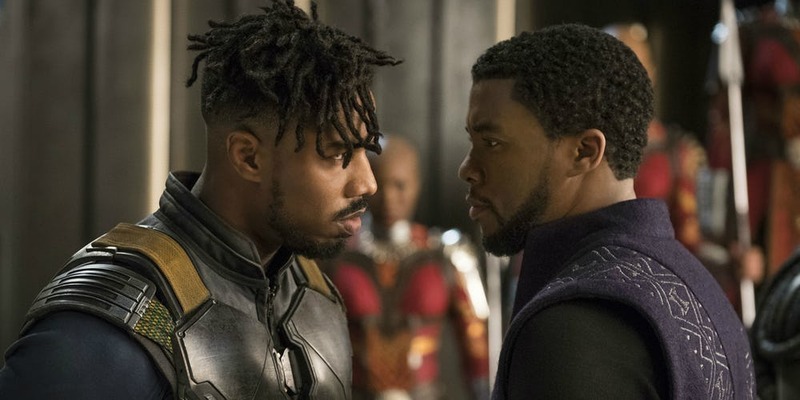 While T’Challa asserts his authority over his kingdom, war criminal Ulysses Klaue (played by The Last Jedi’s Snoke, Andy Serkis) has joined forces with Killmonger (Creed’s Michael B. Jordan), a former US Special Forces operative with Wakandan ties of his own. With his nation’s past threatening to destroy its future, T’Challa must rely on all of his skills and allies to prevent World War III and, at the same time, prove himself worthy of the Black Panther mantle. Aside from Lee and Kirby’s classic comics, the film visibly takes its cues from African tradition, hip-hop culture, and science fiction to fabricate a futuristic nation that any continent would be proud to call its own. Indeed, science fiction trappings notwithstanding, this is the first time in recent memory that global moviegoers will be exposed to an onscreen African nation unsullied by the horrors of war or colonization. 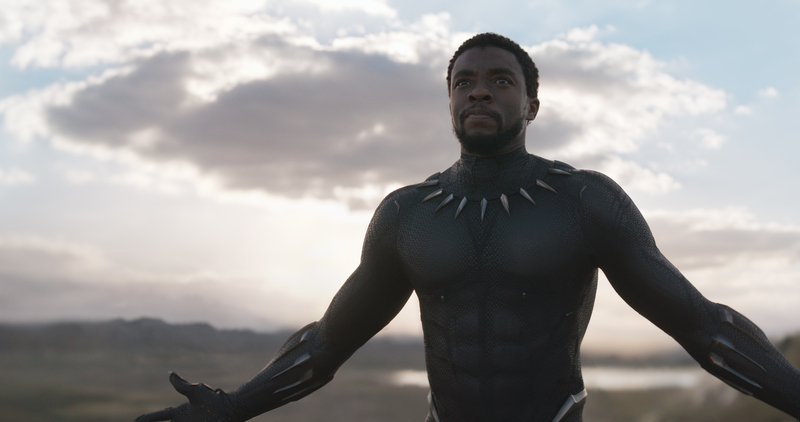 Clearly, a lot of thought went into this, as Coogler and his team have gone all in to create a living, breathing world for their version of Wakanda. Black Panther dares to imagine an African nation where tradition and technology were able to develop side by side, made all the more richer by little touches as the presence of tribal jewelry, no straightened hair, and having nearly every performer speak with an African accent. While Thor: Ragnarok treated its outer space setting as little more than an extended gag, the sheer level of beauty and detail in the costumes, lush landscapes, and rich textures of Coogler’s Wakanda as lensed by Oscar-nominated cinematographer Rachel Morisson (Mudbound) will have you hoping against hope that it was a real place. 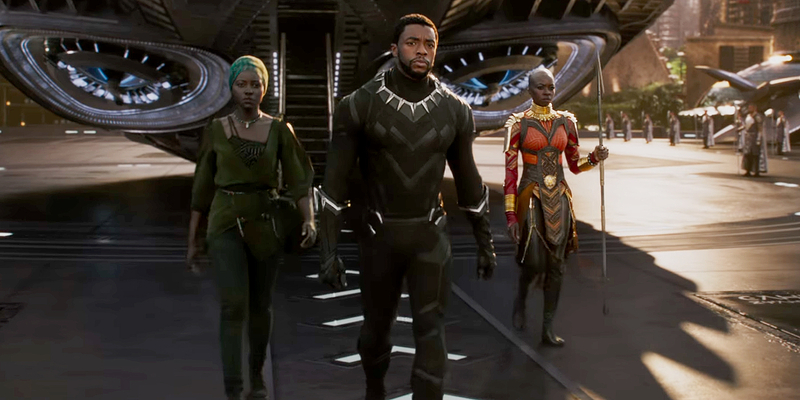 An important aspect of the story is T’Challa’s fierce devotion to his family, including tech genius sister Shuri (English actress Letitia Wright, of Black Mirror’s “Black Museum” episode), queen mother Ramonda (the legendary Angela Bassett, last seen in American Horror Story), and, by extension, former girlfriend Nakia (Academy Award winner Lupita Nyong’o). 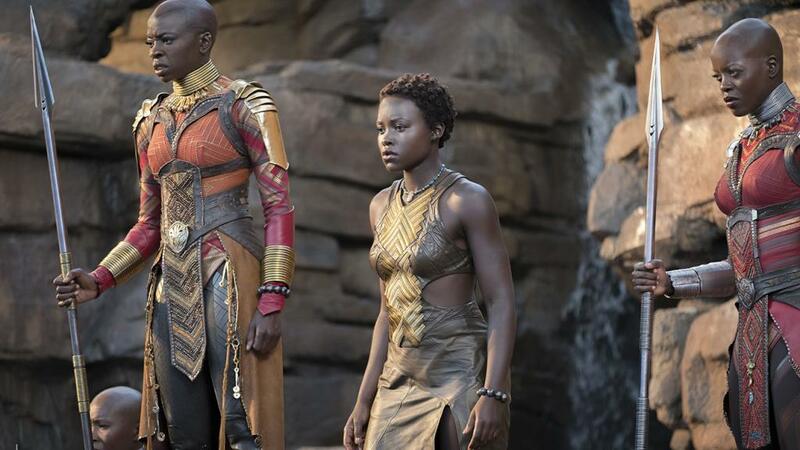 Watching T’Challa’s back is the Dora Miljae, an elite group of female warriors, led by the unspeakably badass General Okoye (famed for playing the unspeakably badass Michonne on the Walking Dead), and advisor Zuri (Forrest Whitaker, Rogue One), who oversees the nation’s rituals. 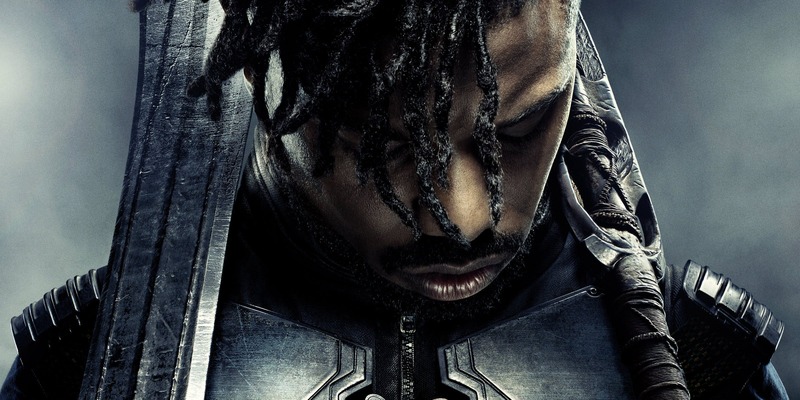 Coogler, Bosewick, and many of the cast have stated in interviews that their intention for the film was to create onscreen heroes who black children could look up to and see themselves in, and it’s fair to say that they’ve succeeded. While there will doubtless be those who have no idea what the fuss is about, one need only consider when the last time Hollywood, today’s foremost purveyor of global pop culture, even attempted to mount a mainstream film –never mind a blockbuster – of this magnitude with a predominantly black cast that wasn’t playing criminals or slaves. At any rate, the characters here are honorable and well defined, led by Bosewick’s T’Challa, who projects effortless regality as a king forced to fight for everything he believes in. As breakout character Shuri, Wright’s obvious love for her family and enthusiasm for her inventions are downright infectious, while, on the flip side of the equation, Jordan’s Killmonger is a surprisingly nuanced and, dare I say, sympathetic villain. Even before his critical and award buzz for Creed, Michael B. Jordan had already proven his abilities as a solid performer, and he takes that to the next level in Black Panther. What could have been a stereotypically melodramatic turn is elevated by Jordan’s interpretation of the script’s almost Shakespearian-level of family tragedy and circumstance. 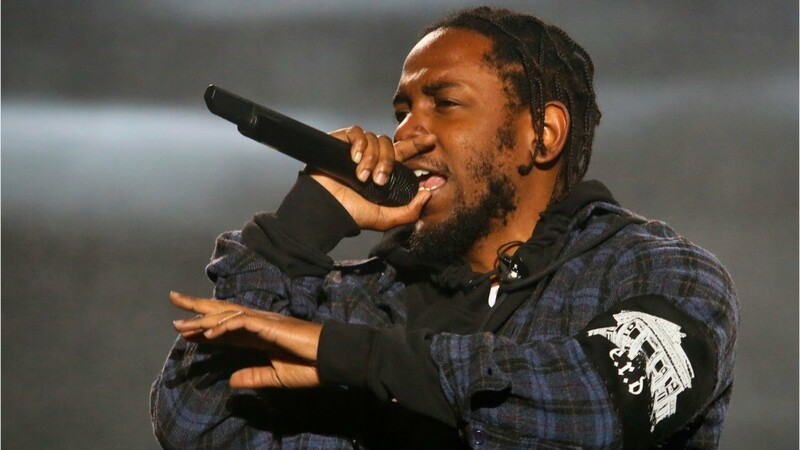 When it was announced that rap star Kendrick Lamar would be producing the soundtrack to Black Panther, it seemed like a marketing move to boost album sales. And while it would have been the quickest thing in the world to just assemble a random mix of tracks from popular artists to play over the end credits, Lamar has instead delivered something that demands your attention. As immediately listenable as anything he’s created thus far, Lamar’s tracks here marry the film’s narrative with his trademark commentary and shout outs, somehow avoiding coming across as pandering or manipulative. Whether you’re working out or protecting Wakanda from evil, this is one soundtrack you should definitely take time out to really listen to. 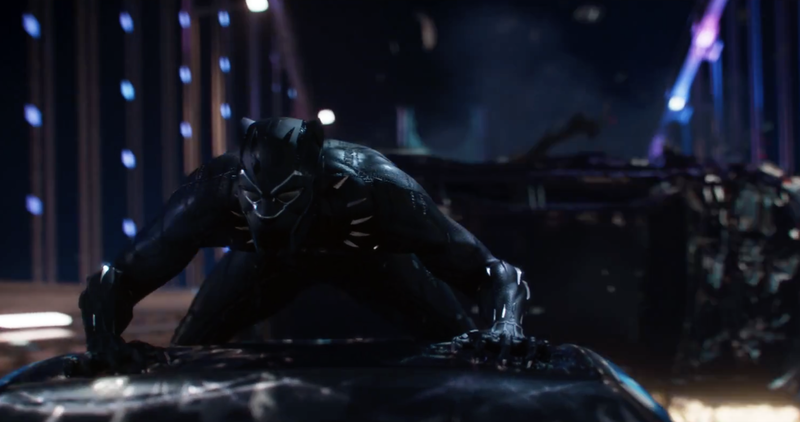 In one sequence, T’Challa is bounding from car to car in South Korea, somewhat reminiscent of a similar sequence in 2015’s Age of Ultron. Fortunately, where that film’s Korean chase just seemed shoehorned in (to pander to the global audience), Black Panther’s actually goes somewhere in moving the plot forward, as nearly every action beat is used to communicate parameters for sequences yet to come. By now, we’ve seen superhero dust ups of all shapes and sizes (perhaps most memorably in 2012’s Avengers and 2016’s Civil War), but I’ll be damned if Marvel hasn’t gone and raised the bar again. Sure, the hero and his nemesis inevitably end up in a standard-issue mano a mano, but given the groundwork Coogler put into making sure we understood the stakes and how all the characters related to each other, the end result is ultimately effective because we care about what’s going on. For those that have been following the Marvel films since 2008, Black Panther could very well be the breath of fresh air the franchise needs. Aside from being as culturally and thematically significant for minorities as Wonder Woman was to women last year, the film also serves as a welcome deviation from what we’ve come to expect from the overall franchise while remaining unmistakably within it. Given that this is the 18th entry in the ongoing MCU, the fact that the series still has the ability to surprise is definitely worth taking note of. The story itself here isn’t groundbreaking in and of itself, being a somewhat traditional tale of kings, successions, and past secrets coming back to haunt the present, but we’ve never seen it told in this genre before, and certainly never in so grand a manner. The ambition of the visuals and talented cast help to make it a film that hold the attention. In May, the third Avengers film (Infinity War) will present Marvel’s heroes with their greatest challenge thus far and, judging from the trailers, Wakanda and its citizens will be playing a major role in that battle. With only one film thus far, we honestly hope that no great misfortune falls upon the Panther’s realm, if only because this is one fictional kingdom we wouldn’t mind coming back to visit for many more entries to come. How did you find the movie? Tell us below!